I was approached with an offer that I cannot refuse: collaborate with a friend on a burning man shelter which is collapsible and leaves no trace in the environment. By the end of the year we will have a functioning structure built, and it will go to the desert for use. 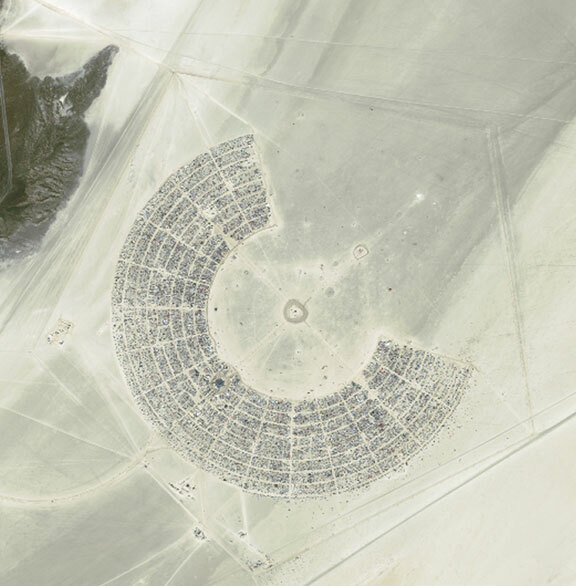 Though I have little interest in camping in the heat and dust, I have been fascinated with the idea of burning man for a while. It is a very interesting concept to set up a city for a week and then leave without a trace at the end. This is the perfect opportunity to participate but not get all dirty and crabby in the middle of a desert. It is time to write my design brief for my studio class and last week I could have done it on time. I was set on the idea of making an item which either collapsed, transformed, or was just mechanically superior to its predecessor. Yet, as the deadline approaches, this idea no longer seems like the only interest which occupies my thoughts. Dedication to function over form has always been my way of overcoming many of the stylistic decisions that must be made during the design process. First the basic needs must be addressed, then the form can be determined by a combination of mechanics, style, target market, and the ever present teachings of the Pratt 3D department. There is a certain emptyness to this process though, something is left unsatisfied by design which accepts the traditional assumption that the styling of an object is better determined by designers than by the consumer. Every day inventors make useful items, and every day designers produce sleek renderings which epitomize form and function in harmony. I cannot help but wonder what the role of the designer has become. Is it our job to create something that does good, or is it similar to the role of a fashion designer who relies on changing trends in order to sell clothes each season. In any case, I am struggling to figure out what is more practical, important and interesting. Designing one object which is a significant improvement over the last is good. It shows that I can define and solve problems, and probably make them look pretty. But if I am to complete this task, I must first find a starting point, and that is where I am floundering. If I am unable to find area for improvement in the world, then do I have the skill to solve such a problem? The alternative is to turn to a research based exploration of the role of the designer in the world. It concerns me that my education focuses so much energy on my visual literacy, yet ignores the fact that most people are ignorant or indifferent to the forms which we create. The designer should not pass judgment on the tastes of those less educated than they, rather they should examine what is most loved. There is a validity to all stylistic preferences outside of those that are taught in school, to say otherwise is outdated, pre-postmodernist thinking which does not acknowledge the polyvocality which pervades other areas of academia. We live in a time when the mass media is severely undermined by the new social media (twitter, reddit, op-ed bloggers) which gives the individual an opportunity to be heard. It is possible that the DIY and craft movements are growing for no reason other than a desire for individuality and freedom from impersonal industrial design. Sometimes it is just too easy to look at the portfolios on design websites and find a lack of individuality and a dedication to the idea of the designer as the sole creator of beauty. In the scheme of things, those of us who consider ourselves to be visually literate are just another group of people with similar taste. As you can see from my passionate writing, I am pretty opinionated on the role of design and beauty in relation to society. I am sure that my comments can be refuted with all sorts of arguments, and those are very welcome. Now that I have written more of a rant than a contrast of options I will go to bed. Here is a preview of my work so far for my 3D class. I took these pictures in my dorm room on top of my printer so forgive the poor quality, but they should nonetheless give you an idea of what I have been doing with these CD cases for the last few weeks. Let's just say I have a wide variety of candy in little bowls all over my room. I even made some public candy bowls. People do take candy from strangers. I get to retake the course with a good friend of mine who should be pretty fun to work with. We did some experiments in class and made this warped surface. I did a few ot her things that were too hard to take pictures of in my dorm room. there will be many many more pictures of our CD case experiments to come. My class took a trip to Storm King art center and I saw a lot of sculpture. Then I saw no sculpture. And then I stared down a deer. On Wednesday morning I got up early to go to Kaufman's Shoe Repair Supply. They helped me find a lot of the supplies that i need to make my first pair of shoes. That is a lie, I made a pair of valenki type boots about a month ago, but those are much less complex than a pair of pumps. I purchased my first last (good pun, right?) and have already started taping it up to make the pattern for a vegan pair. I think that the 3 inch height will make for a really good somewhat comfortable pumps with a small platform in the front. Once i get this shoe making thing done, I will hopefully no longer have to settle for trends over personal style. Well, my plans to make an umbrella as a senior project seem to be collapsing. There is a lot of doubt whether there is a need for a new type of umbrella when the original is good and the many variations on the theme are even better. My current design problem is no longer about the mechanics. This week I will be dedicating myself to the challenge of finding something that should be collapsible. Not just for fun or for aesthetics, but for a real improvement in usability. 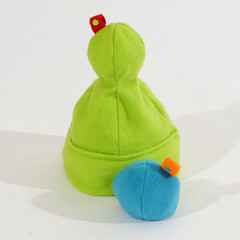 I want to avoid making another product like my Dot Hat (on the right) because it was not really a mechanical challenge for me. The only thing that I can think to do right now is to read through the "Collapsible" book and make something that is not in it. For example, my roommate has a switch blade comb. It is functional, easy to carry and, most importantly, humorous. Maybe later she will let me take a little video of it in action. I have now made it through one week of classes. On Thursday I had my first studio class, and it seems like a good semester is ahead of me. As part of the class that I chose, we were able to pick a project direction as long as it fell into the category of "Making Meaning." For me, Making Meaning and "industrial design" should be the same thing. If something that I design has no meaning and intention, then it just isn't very successful. Folding and collapsible objects have been an interest of mine for a while now. As a child, the discovery of the Hoberman sphere at the local toy store was a life changing moment of pure awe. It combined my interest in geometry with a new technological twist. The study of leaf and map folding soon followed. Making something flat 3d, and making something 3d flat- this is something that is both challenging and useful. I was hoping to focus on the umbrella, the simple and effective folding device which I have been looking at all summer. Yet today, when I picked up a copy of the book "Collapsible" by Per Mollerup, I was able to see all of the folding objects in my life. The umbrella is on the cover, the archetype of collapsibility. I wonder if there is a reason to redesign something that is already so well thought out and developed.